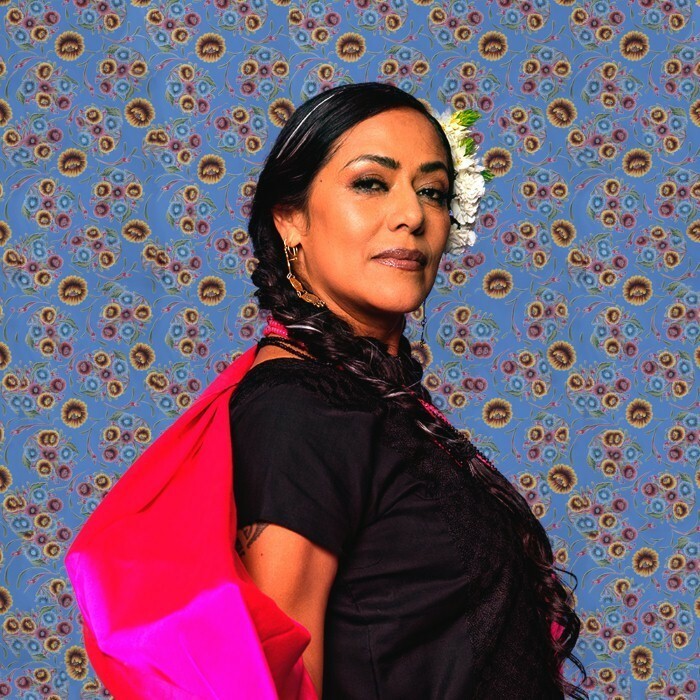 Anna Lila Downs Sánchez was born in Tlaxiaco, Oaxaca, Mexico in 1968, and grew up there and in Minneapolis, Minnesota. She began singing ranchera music at an early age, and later sang at the fiestas of the towns in her mountain region, la Mixteca. She sang with the band Los Cadetes de Yodoyuxi and later with La Trova Serrana, a group of folk musicians from the Zapotec town of Guelatao, oaxaca. At that time she met her musical collaborator Paul Cohen and began to create her own musical compositions, which tap into native Mesoamerican music of the Mixtec, Zapotec, Maya and Nahuatl cultures. Cohen went on to become both Downs's husband and her artistic director. Downs is the daughter of Mixtec cabaret singer Anita Sánchez and Allen Downs, a Scottish/English-American professor of art and cinematographer from Minnesota. She grew up partly in the Mexican state of Oaxaca, partly in California as a teen, and Minnesota as an adult where she studied voice and social anthropology at the University of Minnesota. She also studied in a school of fine arts (Bellas Artes) in Oaxaca when she later returned to Mexico where she learned to weave. In following the years, Downs and her band have toured widely in Mexico, South America, the US and Europe. She was also heard in a duet with Caetano Veloso for the soundtrack to the movie Frida in a song, Burn it Blue, that was nominated for the Academy Award for Best Song and that she performed at the 75th Academy Awards. Other songs that she performed on the soundtrack are "Benediction and Dream," "Estrella Oscura," and "La Llorona." Other movies with a Lila Downs song are Tortilla Soup, Real Women Have Curves and Fados by Carlos Saura. She was also invited to the Twelve Girls Band's concert in Shanghai, where she sings in French and English. Downs is currently based in Coyoacán, a borough of Mexico City. 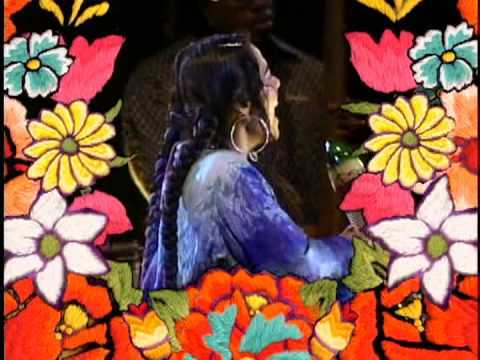 Lila Downs released an new album in september 2008 called "Ojo de Culebra / Shake Away" of new material as well as a few cover songs, including "I Envy The Wind" (song) by Lucinda Williams and "I Would Never" by The Blue Nile. She also collaborates with artists like La Mari (singer) from Chambao (band) and Enrique Bunbury from Héroes del Silencio. 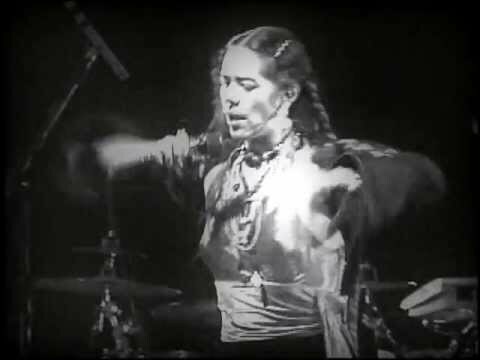 Getting closer to the "real" story, here's a poignant, fascinating bio of Lila Downs, by an excellent writer: Lila Downs: With a Song in Her Soul Lorenza Muñoz, Los Angeles Times Staff Writer Lila Downs OAXACA, Mexico--Lila Downs knelt onstage, as if in prayer, in a dark auditorium, only a few dim lights reflected off her onyx-black hair and ruby-red lips. Before a hometown crowd, she directed her prayer-like song to La Llorona. Downs' powerful voice echoed off the stage. Suddenly she became La Llorona--a mythical woman said to haunt the river valleys of Mexico, weeping and moaning for her children whom she drowned in a fit of madness. Her story has been repeated for centuries in Mexican folklore, with a little variation but always the same tragic feeling. The hushed audience watched her, transfixed, as she knelt in her traditional silk black and red blouse, a huipil, calling out in agony and adoration to the ghost of La Llorona: You came out of the church one day Llorona and I saw you pass by Such a beautiful huipil you were wearing, Llorona that I thought you were the virgin. Oh my Llorona, Llorona dressed in a celestial blue And even if it costs me my life, Llorona, I will not stop adoring you. Lila DownsShe ended her song, and for several seconds the audience members seemed not to breathe or move until they heaved a collective sigh. They had been transported to an imaginary place. They had just experienced Lila Downs at her best. If Downs' performances are marked by anything, it is an uncanny ability to become the character of a song. Whether it is La Llorona, or a sensual jazz singer of "Smoke Gets in Your Eyes" in flawless English, or a coquettish Mexican singing a bolero, or a native Indian conveying the sad stories of Mexico's Mixtec, Nahuatl or Zapotec cultures in their languages, Downs discovers a part of herself in the essence in each song. She is a reflection of a 21st century world culture where ethnicity and national boundaries are blurred. The 32-year-old is best known in Los Angeles for her electrifying performance at last year's World Festival of Sacred Music. Downs received a standing ovation that night, an honor given to only one other festival participant--the Dalai Lama. Lila DownsShe has sung before packed houses at the Getty and at LunaPark. In 1998, she performed live on KPFK-FM (90.7). The CD of that performance, a modest endeavor with only acoustic guitar and piano accompaniment, has been the biggest-selling benefit album in KPFK history, said operations director Betto Arcos. At the Sacred Music Festival, "she was singing in Mixtec, Maya, Nahuatl and she stole the heart of not just Latinos but everyone," Arcos said. A relative newcomer to the music scene, with only two albums released, Downs and her band recently signed a deal with Narada/Virgin records, a company that also distributes other global music acts and labels, including Peter Gabriel's Real World and David Byrne's Luaka Bop. Her first album for Narada, tentatively scheduled for release Aug. 29, will be original songs written by Downs inspired by border life. The music will include cumbias, rancheras and other eclectic mixes. Monday, Downs returns to Los Angeles for a performance at the John Anson Ford Amphitheatre. Downs' bicultural background, her exotic beauty and startling voice, in addition to the growing popularity of world music, could position her to reach international success. "I was struck by her voice and the commitment that she has made to her cultural background--she integrates it in a very modern way that makes it accessible," said Richard Denhart, senior director of artists and repertoire for Narada. "I think of her as a developing artist. She really has no track record, and so it is a challenge to get her to the United States as much as possible to get her music out." Indeed, having sung professionally for only seven years, she is still ironing out the kinks in her voice. Some critics say her eclectic song selection and arrangement obstruct the flow of her albums. To get to the next level, they believe, she must refine her performances and find a top-notch producer. "She doesn't have a perfect voice, but she sure can perform," said Tom Schnabel, host of "Cafe L.A." on KCRW-FM (89.9). "Her strength is the way she can win a crowd. Look, Maria Callas used to blow notes right and left, but she would also blow an audience away. Same with Lila. She has a hell of a lot of stage presence. She can emote and be very dramatic." 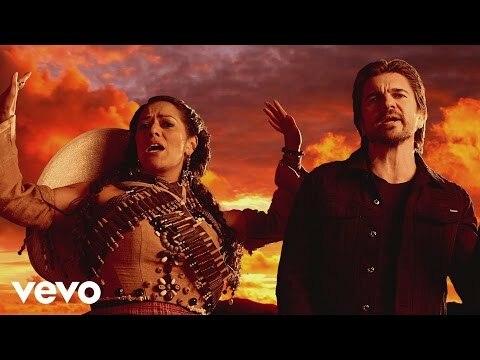 Drama has been a constant presence in Lila Downs' life. There is an aura about her that suggests something ethereal. She is thin, with thick straight hair pulled tight into two braids often decorated by the brightly colored ribbons of her native Oaxacan Zapotec and Mixtec Indian culture--a look that has existed for centuries, but which painter Frida Kahlo popularized in the 1930s. Wearing no makeup, she dons only a dark cherry or red lipstick when she performs. Her skin, a light olive shade that allows for very light freckles to form on her nose, is in stark contrast to her dark hair, ink-black eyes and arched eyebrows. Her scent is of a musk oil, sensually perfuming the air around her. Downs' mother, Anita, a willful, intelligent woman, decided at an early age that she would escape the chains of her ancient village. Born in San Miguel El Grande, deep in the mountains of Oaxaca, Anita was married off to an abusive man at age 15. One night as her husband snored off the day's drunken adventure, she escaped to Mexico City, literally barefoot, penniless and barely able to speak Spanish. Being a quick study, Anita became fluent in Spanish, though never forgetting her native Mixtec. Being a striking beauty, she quickly found a job singing at a cabaret. It was there one night in 1961 that Allen Downs appeared in her life. An adventurous professor of art and cinematography, Downs had come to Mexico to film the flight of the blue-winged teal from Canada to the Yucatan Peninsula. But when he set his eyes on Anita, Downs quickly forgot about the ducks. "He had never seen a Mixtequita like me," recalled Anita, in slightly accented Spanish, laughing at the memory. "Even though he didn't speak Spanish and I didn't speak English, we understood each other." There was one little snag in their love affair, however. Allen Downs was married. Within a few years, he secured a divorce, moved to Mexico City and married Anita. He wanted to have a baby right away. Wanting to make sure her husband was responsible and would stick around, however, Anita decided to wait. She waited seven years. Finally, in 1968, their baby girl, named Lila, was born. Lila lived a double life. Oaxaca was too remote for their daughter, so her father brought her as a teen to Southern California, where his brother lived. At Rowland Heights High School, she learned to read and write English perfectly. Anita opted to stay home in Mexico. So Downs spent most of her teenage years with her father. When she graduated from high school, she came home to Oaxaca. But here, her identity crisis began setting in. She saw the uglier, racist, envious side of Mexico. Who was this strange child of a strapping, white American father and a petite, bronze-colored Indian mother? In a country still suffering from the scars of many conquests over the Indians, Downs was the personification of everything many Mexicans loathe and yet desperately want to be. "It was very, very hard," Downs recollected. "I think what I do artistically had a lot to do with me as a person. I was very confused." Her neighbors would tease her. "You're the little Indian's daughter," the children would taunt. "Yankee go home," they would write in graffiti on the family house. She sang, but only to her mother. The notion of performing publicly was embarrassing; it reminded her of the way her mother had made a living standing on nightclub tables, surrounded by drunkards. Suddenly one day, while taking a nap during a visit to Oaxaca, Allen Downs died of a heart attack at 68. Downs, 16 at the time, was the only other person in the house. His death is a topic she still finds difficult to talk about. She flew into a rebellion, angry that her father was dead, taking it out on her mother who in her eyes was helpless, almost submissive to the discrimination she faced in a society that resents its Indian ancestry. "Up to that point I had spent time with my dad--the white guy," Downs said. "I realized that people treated me better because I was with a man--and a white man. And then suddenly I was left with my Indian mommy. I couldn't handle it. How could I deal with the fact that my mother speaks with a thick accent because her first language was Mixtec? I was ashamed of my Indian roots." 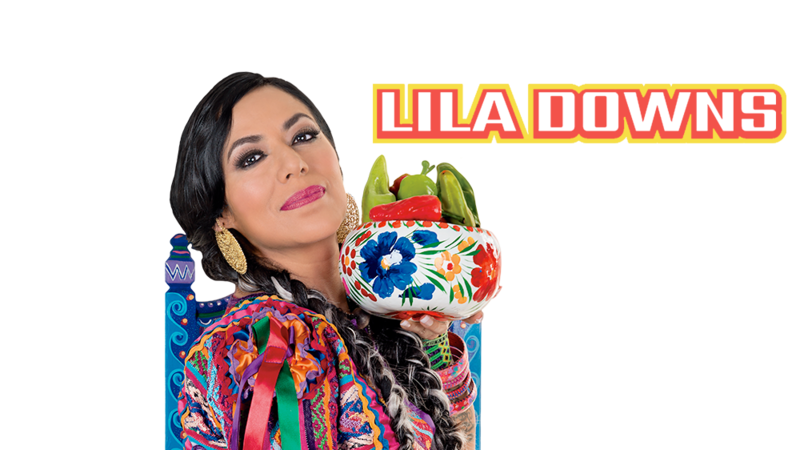 Lila Downs Two years later, she fled to her father's native state of Minnesota for college and buried herself in studies. She studied voice and anthropology until her junior year, but then she became disillusioned. She dropped out for about a year and became a Deadhead, living and breathing the cult-like fascination with the Grateful Dead. Soon she realized she had stopped feeling and thinking for herself. She was, she recalls, like a stoned, unbathed android, unable to put her own emotions to life. She stopped singing--not a note--thinking it a vain and superficial exercise. Her mother, an elegant, finely kept woman, was horrified. "I never thought she would dress like that--or that a human being would dress like that and smell like that!" Anita recalled, her eyes widening in disdain. "Her boyfriend had so much hair, he looked like a lamb." To Lila, that stage in her life was inevitable. "It was good because it was like shedding a skin and going through a growing process which we all go through one way or another." After two years of therapy and serious introspection, Downs snapped out of the Deadhead mode, returned to the University of Minnesota and received her degrees in voice and anthropology in 1991. But she still felt she was searching for something. She was still unable to sing. It was not until she returned to Mexico that she found the healing qualities of music. Through music, Downs discovered herself, her Mexican and Indian heritage. But her link would be soaked in the tragedy that has haunted the Indians of Oaxaca for centuries. Even before the Spanish conquest, her mother's people had been overrun, first by the Zapotecs--a neighboring Indian civilization--and then by the Aztecs, who changed their language, stole their gold and imposed their ways. Today, Oaxaca's enemy is poverty. One day, home in Oaxaca, Downs was asked by her fellow Mixtecos to translate death certificates in English to their language. Many of their boys who had crossed the border into the United States searching for work had died. And though their bodies had been shipped back to their native land, their relatives wanted to know how they had died. It was so powerful, being this translator of death. She had to sing about it, to honor these boys with so little time on Earth. She composed "Ofrenda" (Offering). "It took a long time to decide that I wanted to sing," she said. "I needed something that was a little more intellectual and that motivated me. That is why I started to write." 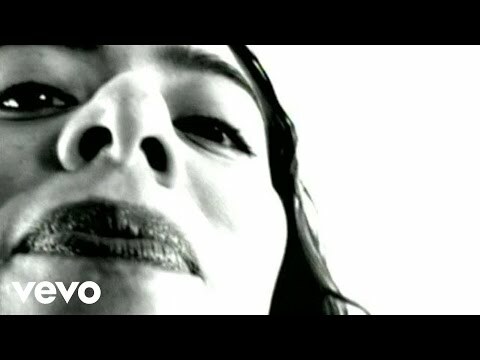 In 1993, she resumed singing, performing in Oaxacan nightclubs, where she met Paul Cohen, an American saxophonist from the East Coast. They hit it off, becoming romantically involved and collaborating musically. Cohen is today the chief arranger of Downs' songs. With his encouragement she explored the grand Mexican ballads, the rancheras, the boleros, the ancient codices of the Mixtecs and Zapotecs and put them to music. Her mother encouraged her to dig deep for that emotion--sentimiento--she possessed but never really brought out. Indeed, most audiences seem to forgive her occasional vocal missteps. This was true during a February performance in Oaxaca, where her most fervent fans have rare occasion to see her live. Although she lives in Mexico City, she is considering moving permanently to Los Angeles. Lately, as her fame has increased, her time at home in Oaxaca has been reduced to a few weekends a year. So, many of her friends and relatives, who had come to see their local girl sing on this cool night, brought their affection and love, showering her with flowers and accolades. Her fans, mind you, were not only Oaxacans. A group of visiting Minnesotans heard one of their own was singing that night. "We flew in from Minneapolis and we are just as proud as peacocks!" said Marge Nordstrom as she shook Downs' hand backstage. "I'm a music teacher, so I know what I heard. We certainly hope you come to Minneapolis soon." Downs graciously shook everyone's hand, accepted the roses she was handed by petite Indian girls looking up to her as a near-idol. Though smiling, her exhaustion and nervousness was visible on her face. "It is like dying a little bit every time you do pieces like 'La Llorona' because they mean so much to people," she said later. "It's like a love song to death." The idea of fame makes her uncomfortable. It brings new questions: As her popularity increases, will she be able to handle the demands on her time? Will the new record company force her to sing music that is more popular but not as heartfelt? Without her heart and soul into it, she knows she could never continue singing. "I never appreciated being a vocalist. I thought it was so superficial," Downs said. "You have to find the spirit to the songs, otherwise it doesn't matter how pretty you sing. I can't quite explain what it is, but I think it has something to do with getting to know yourself and feeling right about what you're doing."